Angry Birds Trilogy is a video game co-developed by Rovio Entertainment, Exient Entertainment and Housemarque, and published by Activision. The game contains the first three games of the popular mobile game series (Angry Birds, Angry Birds Seasons and Angry Birds Rio) and was released for Xbox 360, PlayStation 3 and on Nintendo 3DS on September 25, 2012 in North America and September 28 in Europe. Both the PlayStation 3 and Xbox 360 versins of the game are able to be played with motion controls along with the traditional controllers. 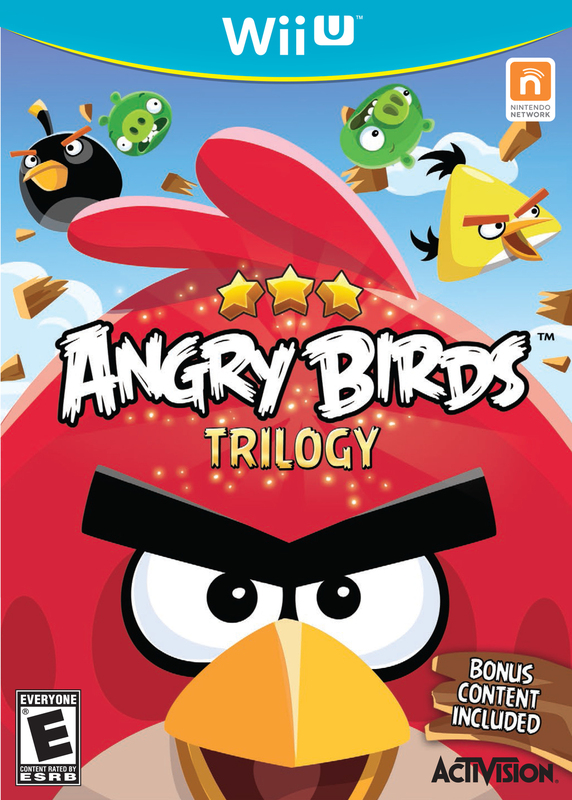 In February 2013, Rovio Entertainment officially announced that the compilation title is now due to be available for both the Wii andWii U consoles on August 13, 2013.